One San Diego mother and her six year old son are pleading for whoever stole their wheelchair ramp, asking them to return it. Six-year-old Miguel Lopez has been in a wheelchair his whole life. He was born with mitochondrial myopathy, a muscle disease. It makes something as simple as walking down their front porch steps extremely difficult for him and his mom, Angelena. His mother says the young boy’s simple ramp, which covers three steps, was stolen in broad daylight. ExclusiveFamily Friend Remembers Cop Shot, Killed in Miss. “I came out and it was gone,” Angelena said. Before he left for school on Friday, the ramp was there. When he came back, it was gone. “Could you bring my ramp back please?” Miguel pleaded. Angelena has filed a police report but says they will not get back to her for another two to three business days. Meanwhile, they have to apply and qualify to get another ramp from MediCal, which she says could take several months. 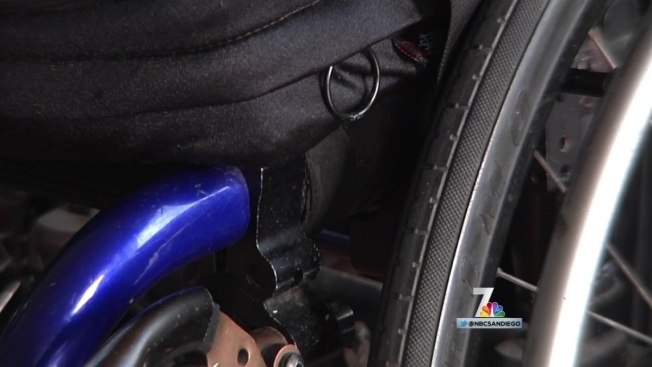 Since the airing of this story Saturday night, NBC7 has received numerous emails from viewers offering to donate wheelchair ramps to the family. Angelena said she also received many messages from people reaching out and will be looking into possible options for her and her young boy. "At first I was so sad, kind of heartbroken…who could steal from a kid let alone from a disabled child…and just having so many people care…Oh My Gosh, this is…this is just the best," Angelena said. "That alone made everything better." She said one of the people that reached out was a childhood friend whose husband is a contractor. On Wednesday, they plan to go to Lopez's home and start building a ramp as a more permanent solution to the problem. "[Miguel]'s really excited because now he feels super, super special like that everyone thought about him," Angelena said.